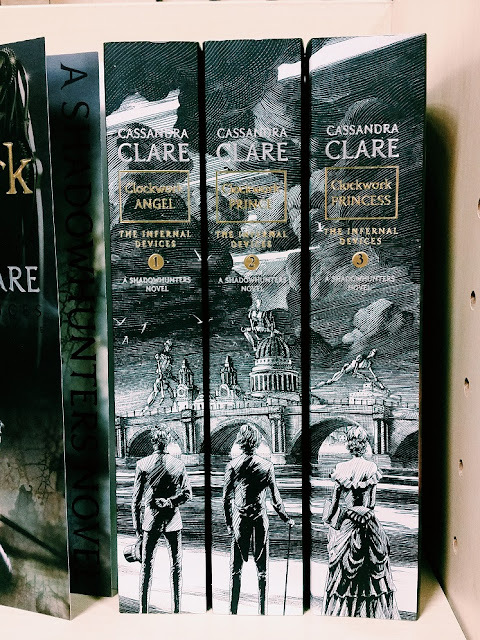 I've always fancied Young Adult novels as a light and easy read but the thought of having to buy an entire series often puts me off them. 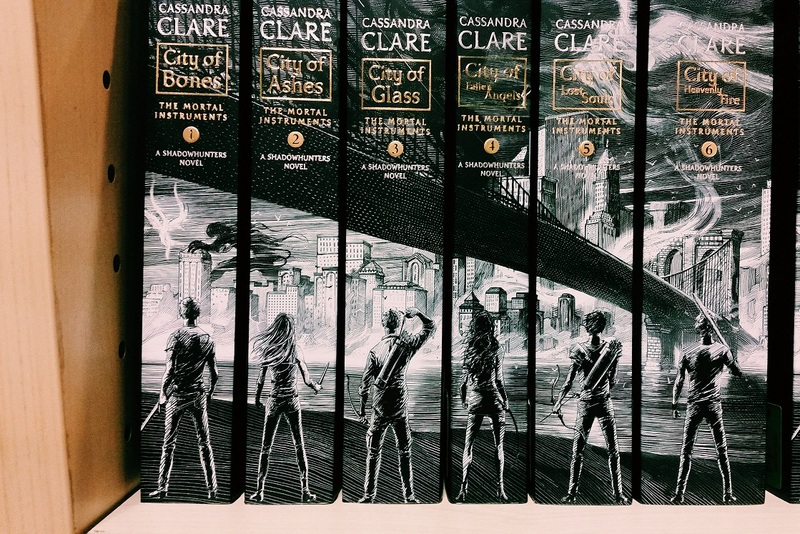 I might have to revise this policy ever since I spotted this set of gorgeous book spines at Borders. How fantastic would this set of Cassandra Clarke's the Mortal Instruments and Shadowhunters look on a shelf? 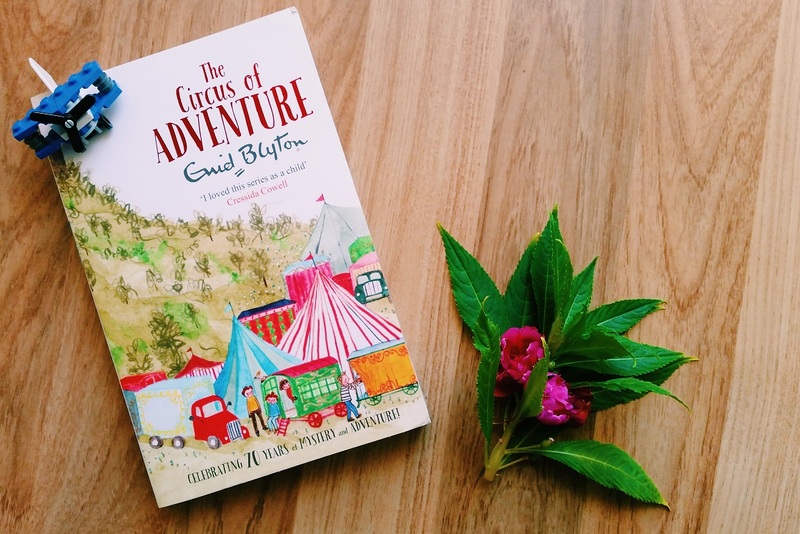 I'm still catching up on my pile of reads from the last Big Bad Wolf sale and the Enid Blyton adventure series is such a gem. I'm always in the mood for tea, plum cake and tinned fruit after each read! 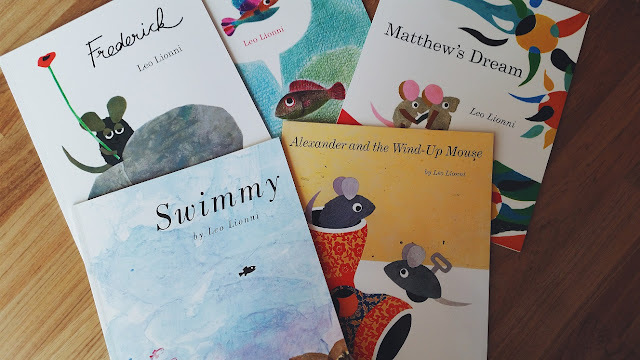 Bubs was very lucky to receive an entire set of Leo Lionni books from Fairy Godma and we've been making our way through them. I've been curious about this children's author since Uniqlo had a range of tees inspired by his innovative art. 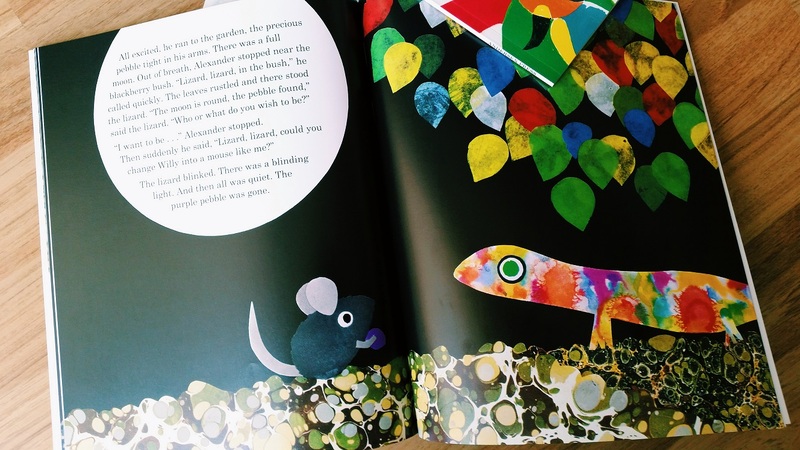 Bubs has been enamoured with the sumptuous colours in all the books. 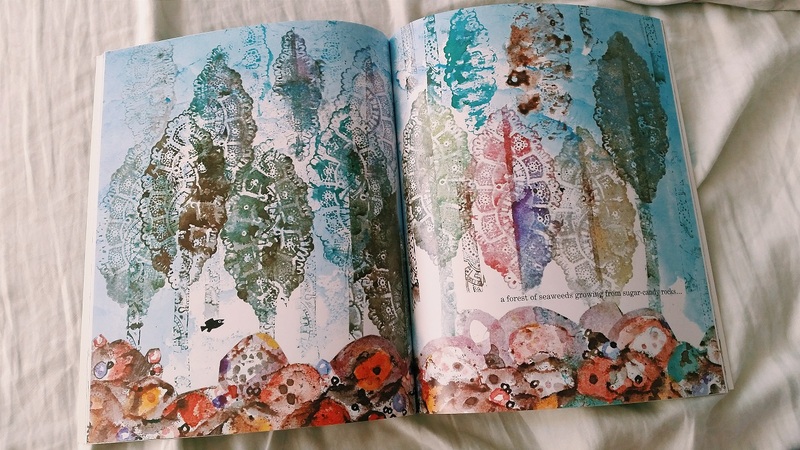 Imagine using something as ordinary as lace doilies to produce such whimsical prints of underwater sea life. I love the layout, colours - a magical lizard! - and charming stories. I love Enid Blyton and grew up reading all her books. Every month I have an allowance to buy whatever I want, and it's always a new Enid Blyton book.